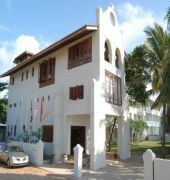 Hotel Sunset Beach is situated in the west coast of Sri Lanka in Negombo city, within 40 km north of Colombo and 11 km drive away from Bandaranaike International Airport. 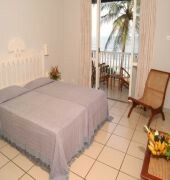 Accommodations are fitted with a balcony or terrace overlooking the Indian Ocean, air conditioning, fan, telephone, wireless internet connection and bathroom. 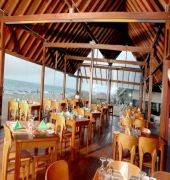 Guests can enjoy dining in an open air restaurant serving fresh sea foods, local specialties and European cuisines. Alternatively, there is also a bar that offers a variety of beverages including cocktails. 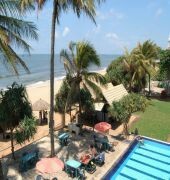 Leisure facilities include an outdoor swimming pool and an onsite beach. The hotel can arrange arrival/departure airport transfers, city tours and excursions.